Who is Dylan Carnright? Dylan is Techno Goober’s favorite intern. Despite being a cybersecurity genius, Dylan chose to work with Techno Goober while he finishes high school. He’s been with us since June 2017, but it feels like he’s been a part of the team forever. He works with Nate and Chad on web development with Joomla. 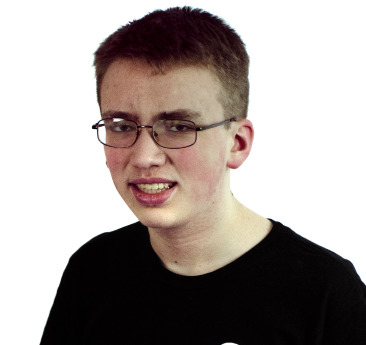 Learn more about web development and cybersecurity from Dylan. On a scale of 1-10, Dylan rates himself as being a burrito with beans and mild sauce. His favorite part about working at Techno Goober is not working at McDonald’s for his first job. He also enjoys the informal office setting and figuring out what he wants to do when he grows up. Even though he’s just an intern, the rest of the Goobers love having Dylan around. When he’s not busy at work, Dylan enjoys playing with his cat, drinking strawberry lemonade, and rooting for the New York Giants. Keep up with Dylan and the other Goobers on the Techno Goober blog.